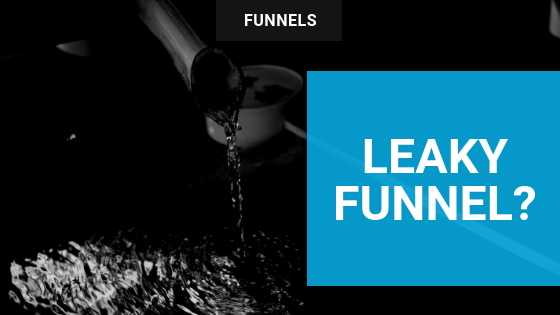 This is part two of our profitable funnel series. If you missed part 1, What the Heck Is A Funnel?, you can check it out here. Here’s the thing about funnels, though. Just knowing what they are isn’t enough. You have to know how to make them work for you. If you have a solid funnel in place, it’s easy to take a look at the number of subscribers at each level of the funnel and predict pretty accurately what the sales are going to be from day to day or week to week, or even for the year ahead. Problem 1: Not enough incoming traffic. The very heart of your sales machine is the traffic you bring in. Without visitors to your blog or landing pages, you’ll have no subscribers. Without engaged subscribers, you’ll have no (or very few) sales from this marketing strategy. Without sales, you’ll have no business, just an expensive hobby. Yet this is where I’ve seen a lot of people struggle. And I get it; I’ve been there. I want to help you get out of that spot. Use good SEO to encourage search engines to rank your content well. Be present and active in the places where your ideal reader hangs out, whether that’s on social media, in niche forums, or at live events. Use paid ads to drive targeted traffic to highly relevant pages. Recruit JV partners and affiliates to promote your offers. I lost out on a lot of money at the beginning of my journey because of this one. This is a leaky funnel mistake that a lot of new entrepreneurs make. We spend a lot of time and energy setting up a great squeeze page and driving traffic to it, then we deliver the goods to our subscribers, and then…nothing. No follow-up emails. No offers to buy more. No related services or products. Nothing. How to fix it: Before you spend time building that opt-in page or offer, be sure you have a back-end to promote, or those subscribers you so carefully collected will end up costing you money instead of earning it back. Check out my guide in the System Shoppe The money's in the follow-up. It will walk you through planning your sales funnels so you have a plan before you get started. Need help setting up a profitable funnel? Grab the Profitable Funnels System Guide here! This happens most typically at the top of the funnel. Your blog posts, social media content, podcasts, YouTube videos—everything you offer for free—must have some kind of call-to-action, or it’s all just wasted energy. Your call-to-action can be as simple as “Subscribe to my YouTube channel” or “Follow me on Facebook for more tips,” but it must be there. Easy fix: Every time you write a blog post or an email, ask yourself, “What do I want my readers to do when they’re done reading/listening/watching this?” That becomes your call to action. Problem 4: No product offers. When you’re just starting out, this can be a problem. You know you need to be building a mailing list, but with nothing to offer them, what’s the point? The truth is, there are lots of ways to make money in your funnel even if you don’t have a product to sell. Easy fix: Promote affiliate offers. No matter what industry you’re in, there are a variety of tools and products your readers need. Find those tools, sign up for the affiliate programs, and recommend them to your readers. Not only will your readers thank you for pointing them in the right direction, but you’ll earn a little cash, too. Got a leaky funnel? With a few tweaks and some attention paid to your follow-up sequences, chances are you can fix those holes and increase your profits in no time. Don't forget to grab your Profitable Funnels System Guide to help you get started.